EDINBURG — UTRGV coach Lew Hill pointed to two main factors that led to his team’s lopsided loss on Thursday: energy and effort. A UTRGV program that prides itself on attacking and playing tenaciously brought neither of those traits in an 83-59 loss to UMKC at the UTRGV Fieldhouse. UTRGV posted its lowest-scoring half of the season, mustering just 19 points during the first 20 minutes. The Vaqueros shot 20.8 percent, turned the ball over 12 times and grabbed only three offensive rebounds during the opening half. UTRGV fell behind 19-5 through the first nine minutes and later endured a stretch of 6 minutes and 48 seconds without scoring. UMKC went on a 15-0 run during the drought to build its largest lead of the first half, at 39-11. The period ended with UMKC ahead 42-19. Winn was UTRGV’s lone bright spot during the first 20 minutes, scoring nine points on 3-of-5 shooting. The rest of the Vaqueros combined to hit 2 of 19 shots. Dixon said Hill didn’t yell at the Vaqueros at halftime, simply instructing them to chip away at the deficit and stay positive. UTRGV pulled as close as 17 about six minutes into the period, but UMKC eventually retook control and led by as many as 30 points down the stretch. Dixon finished as UTRGV’s leading scorer with 20 points while also notching seven rebounds. Winn scored 11 points with seven rebounds. No other UTRGV player netted more than six points. For the game, the Vaqueros shot a season-low 30.8 percent, surrendered 18 turnovers and grabbed only six of 39 chances at offensive rebounds. The loss drops UTRGV to 14-15 overall and 5-7 in WAC play. The Vaqueros have dropped three straight conference games by an average margin of 17.7 points after jumping out to a 5-4 start to the conference season. Hill said his message to his players after the game was to learn from their mistakes but not get down on themselves ahead of a matchup against Chicago State on Saturday. 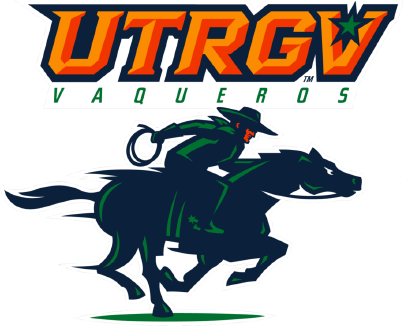 UTRGV closes the regular season with a game against New Mexico State on March 3 before beginning play in the WAC Tournament on March 8. After going to the locker room for postgame, Winn returned to the UTRGV Fieldhouse court and ran through individual offensive drills until more than an hour had passed since the final buzzer. He said the losing streak hasn’t given him any concern about the bigger picture for UTRGV.